Which role of Jared is your Избранное ? Which nervous habit is cuter? Does anyone think it's time for a new Иконка and banner? And I'm still trying to figure out how to make stuff so if anybody has any ideas, why don't Ты post them. Jared Tristan Padalecki (born July 19, 1982) is an American actor. He grew up in Texas and came to fame in the early 2000s after appearing on the Телевидение series Gilmore Girls as well as in several Hollywood films, including New York минута and House of Wax. 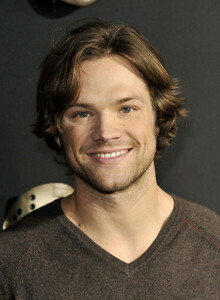 Padalecki plays Sam Winchester on the CW Телевидение series Supernatural. Q: Now your co-star Jared is a bit of a baby. He says shooting the Показать scares him! I dream a lot. My dreams are not confined to the night. I dream while I'm making breakfast, while I'm in the shower, while I'm putting on make-up, doing laundry, driving to work...well, Ты get the idea. All my dreams, whether they are nightly cravings или daily fantasies all have one thing in common: Jared Padalecki. Now, I know how this sounds. Most people would say I'm obsessed with Jared или I'm just plain nuts. Maybe I am. But I'll let Ты in on a little secret. Come closer and let me whisper it so nobody else can hear. It feels marvelous! Soft, розовый lips drawn tight. an answer was added to this question: Jared is left handed or right handed? What animal is Jared compared to?